Serengeti National Park has 600,000 zebras, 500,000 gazelles, 2 million wildebeests, and only 3,000 lions among many other animals. We took the oldest five Angels to the Serengeti National Park on a Safari. I have never seen kids so happy to be somewhere. We popped the top of the van up and let them stand up and take pictures with our cameras. They ooed and awed every time we saw an animal. We saw thousands of giraffes, hippos, zebras, gazelle type animals, baboons, and other Africa specific animals. The most amazing experience was the leopard that walked in front of our van. 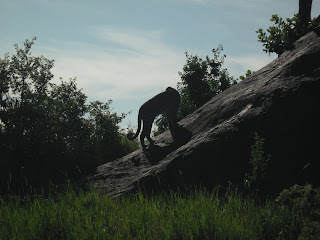 We were told that to be less than fifteen feet away from a leopard is very rare. The Lord’s creation is so magnificent! The rays of blue, purple, orange, pink, yellow, and green that lit up the sky as the sun went down reminded me of how God has blessed all of us with the very breathe He has given us. The array of animals were so eloquent when they walked and ran or hopped through the fields. The innocent children did not even realize that God has given them so much. The most joy I saw in them the whole trip was when we saw a hot air balloon. They made us leave a pool of hippos to get closer to the balloon so we could explain it better. I was awestruck when I found out that they had never seen one before and the looks of amazement on their faces, I will never forget. The mountains, seas, fields, trees, and animals that God has created remind us of His grace and love for all.